Dental Crowns Can Hide Damaged Teeth. Learn More Here! Home » Dental Crowns Can Hide Damaged Teeth. Learn More Here! Fitting a dental crown is the best solution for covering damaged or decayed teeth. Similar in nature to a veneer, crowns are caps designed to cover damaged teeth. A dental crown will encase the entire tooth, whereas a veneer will cap just the front. Visible tooth decay. When a decayed or damaged tooth can be fixed above the gum line, but the decay may be too large to fix with a filling alone. 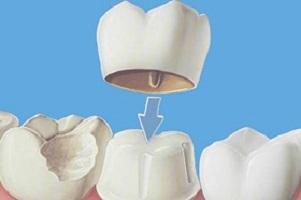 A dental crown will cap and preserve the remaining tooth. After root canal treatment. Root canal (endodontic treatment) is a common procedure for a Brisbane dentist. After a root canal treatment, your natural tooth will turn black, so a crown will cover it and protect what is left. Missing tooth. When a tooth is missing altogether, your dentist can supply a dental implant, which will have an artificial root and a crown cap. Dental crowns can be made in several materials, including. When it comes to tooth crown costs, base metal would be the cheapest, and precious metal such as gold, the most expensive. Most Brisbane dentists will choose ceramic porcelain dental crowns. Ceramic crowns are the most natural looking, and blend in with your smile. Discuss dental crown costs with your dentist in North Brisbane. 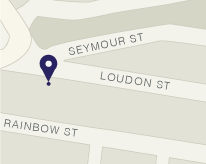 Head to Rob Duhig dentist, Brisbane, and book in for your dental crown appointment. Rob Duhig Dental provides affordable cosmetic dentistry, including crowns. Call 07 3269 2443 or complete the online contact form.